More in the Loft – Cheapies! 4 loft items added at super low prices! 2 for last minute Halloween tricks ‘n treats. 1 for those chilly autumn afternoons. …and one for…winter. 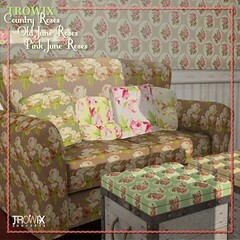 Come by the Trowix Barn. Rummage around the Loft, you never know what you will find! 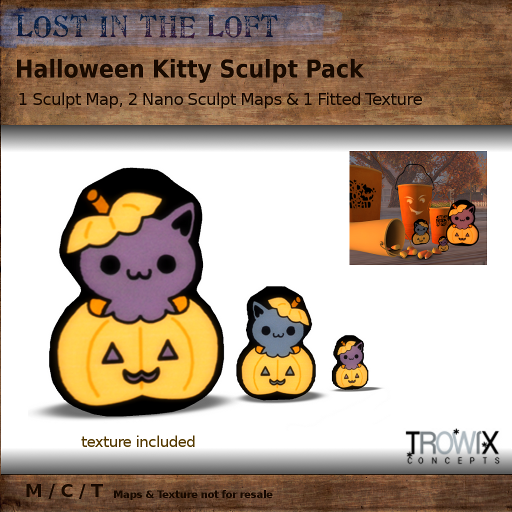 Halloween Kitty. Candy Corn. Toasty Pillow. 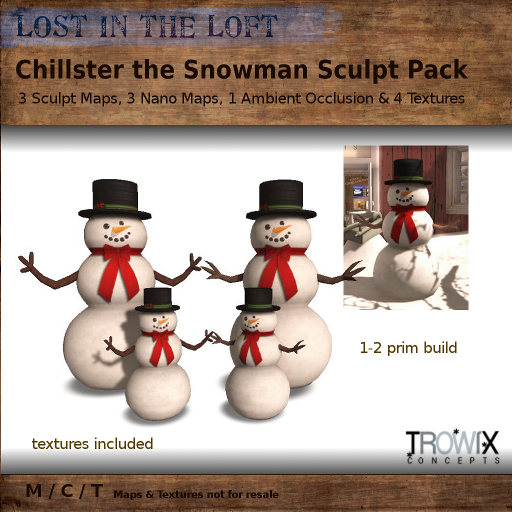 and Chillster the Snowguy. 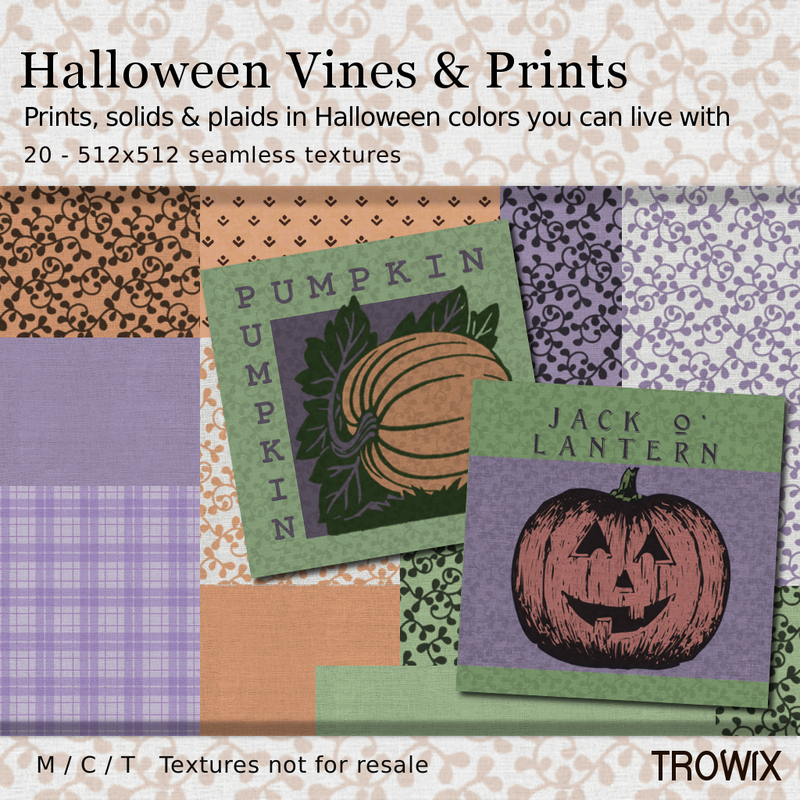 Halloween Vines & Prints – Country Fresh! 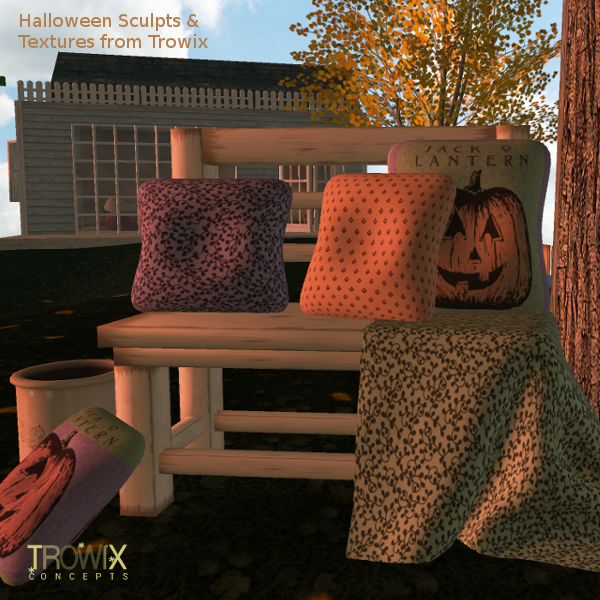 Pumpkin vine inspired fabric set for Halloween & all year. 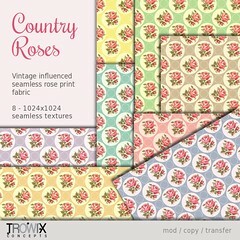 Comfortable country colors make it easy to use these on seasonal furniture builds and clothing. A pretty look for Autumn, not just Halloween. 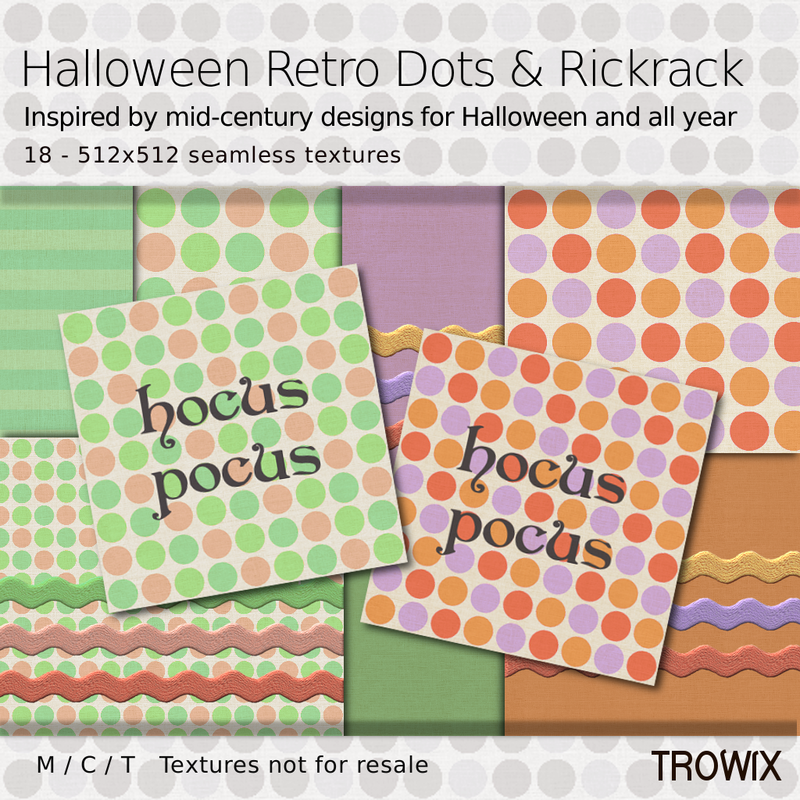 Halloween Retro Dots & Rickrack – Keen! 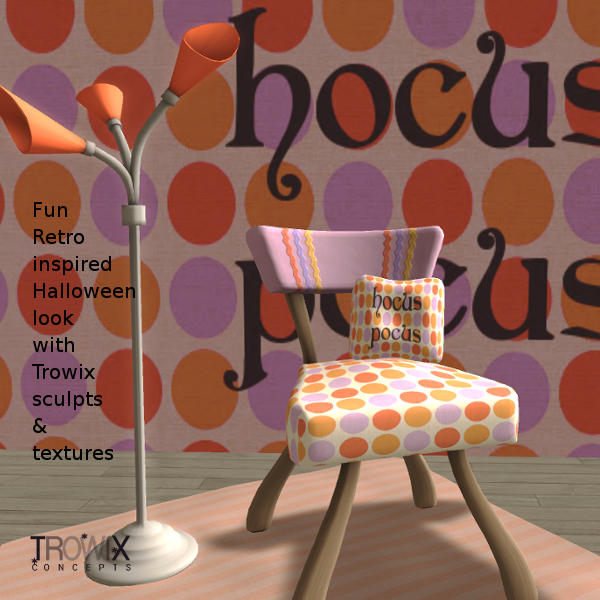 Happy retro dots and large rickrack bring back the past in a fabric set just waiting for a Halloween party or party dress. 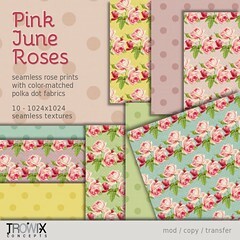 Seamless textures in colors you can use year ’round. A more sophisticated Halloween look. Candy-Wrapped Halloween Candle – Tasteful! 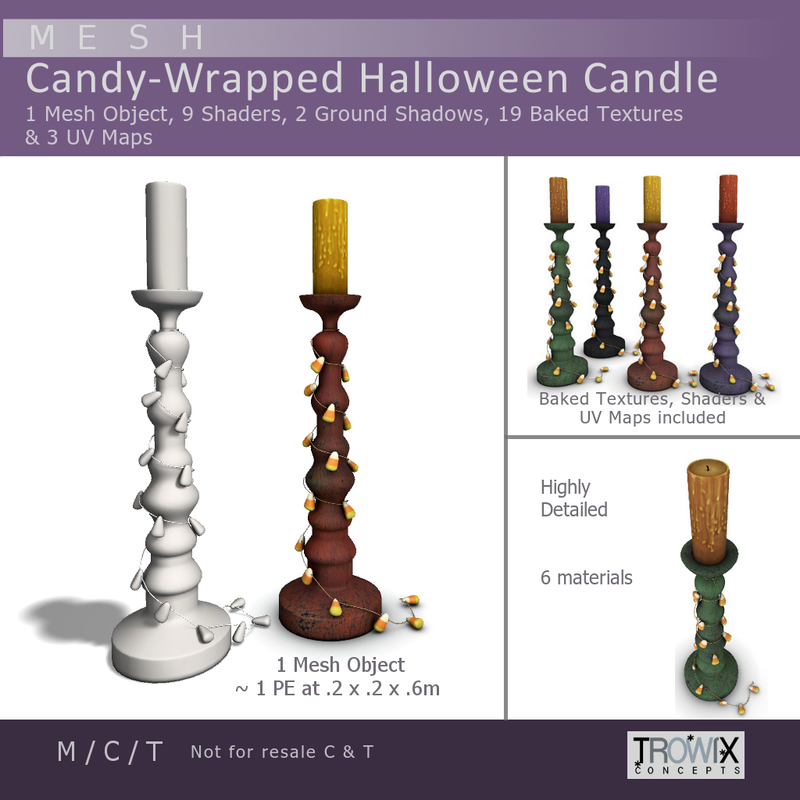 Super detailed, realistic and original mesh candlestick to give your Halloween builds charm and whimsy. Extremely low prim equivalency (PE or LI) and smooth texturing. Which means at more than half a meter tall (in normal proportions) this candle is *only* 1 PE/LI. Chances are, you’ll use even smaller sizes for tabletops. Link them together for even more prim efficiency. 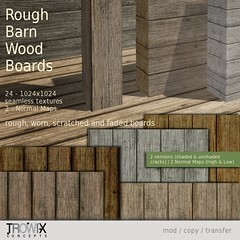 6 materials give many creative texturing options. Materials are: Candle, Candlestick, String, and each color of the Candy Corn. Building Tip: Just for fun, try adding glow to the candies. 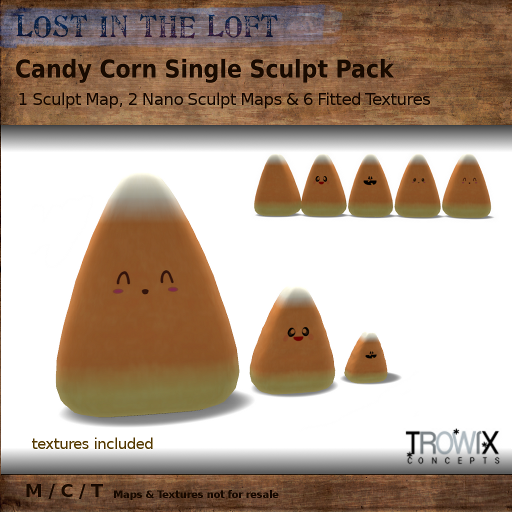 They will look like tiny candy corn lights! 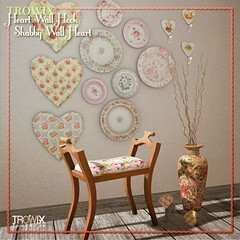 With 9 shading textures and 3 UV maps included, use your favorite graphics program to create just the effect you want. 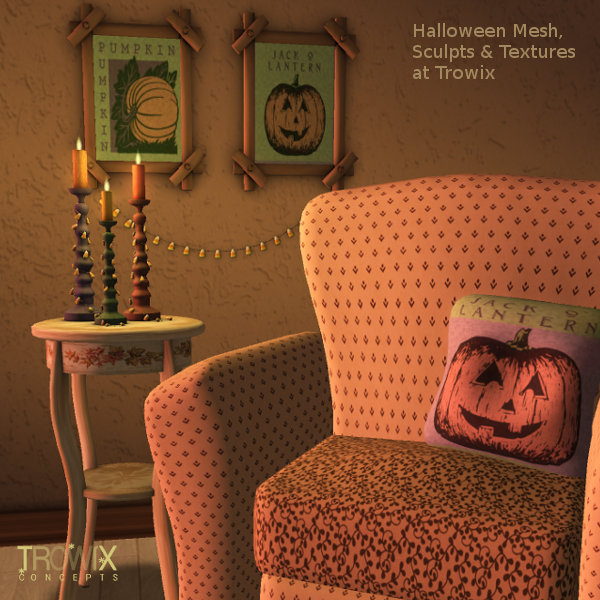 A little Halloween corner made for demonstration. Chase away the ghoulies and ghosties. Add warm ambience on cool nights. 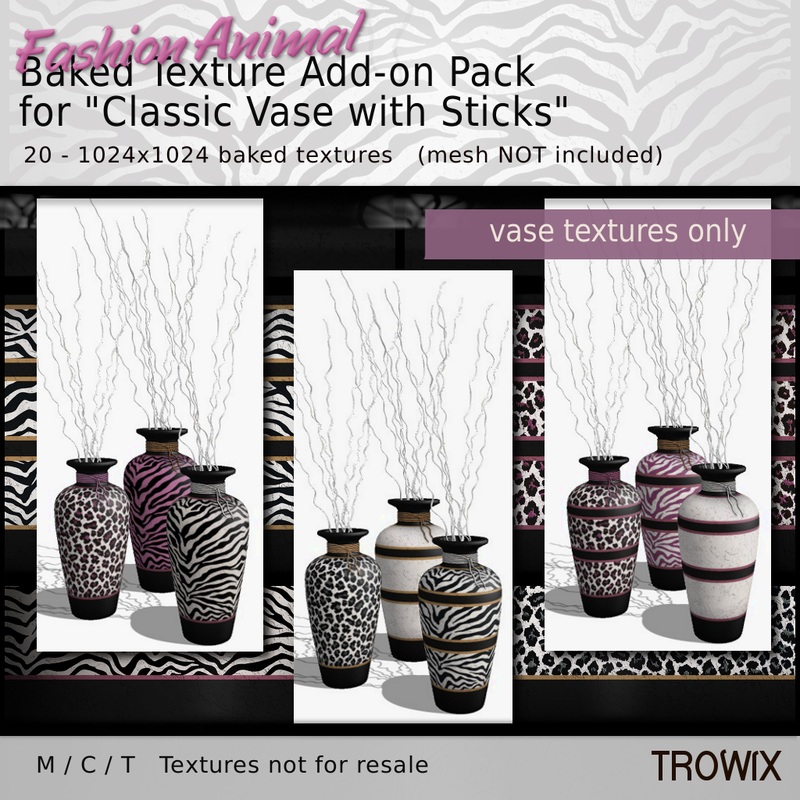 Fashion Animal Add-on Textures – Rawr! The perfect look for fashion stores, photo props and even understated studies. 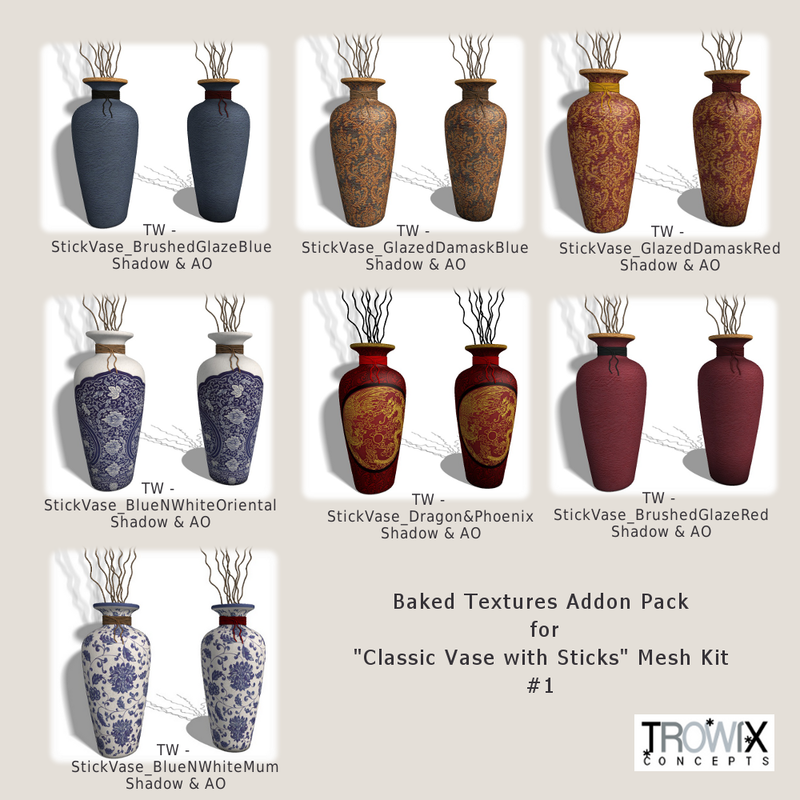 Fun and elegant animal prints made especially for our “Classic Vase with Sticks” mesh pack. 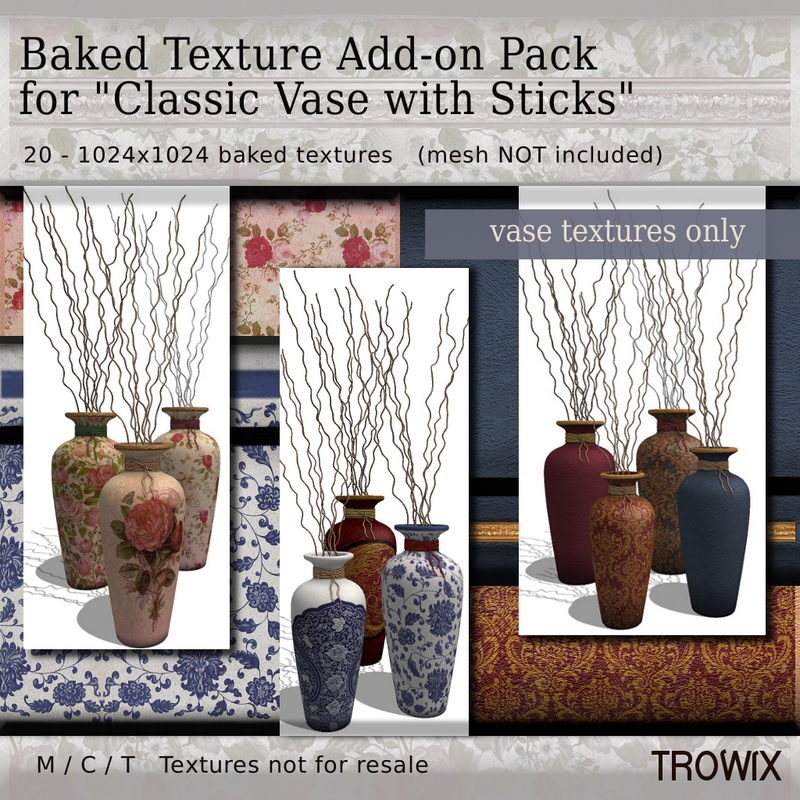 **20 1024×1024 baked textures for the vase portion of Trowix “Classic Vase with Sticks mesh pack. Pink and tan trimmed leopard and zebra designs for fun and elegance. Add the perfect faux animal accent! Pretty in Pink. Retro Chair, Whimsical & Modern Frames along with the Classic Vase in mesh make a fun dressing room. or fly by SL Marketplace. No animals were harmed making these textures. 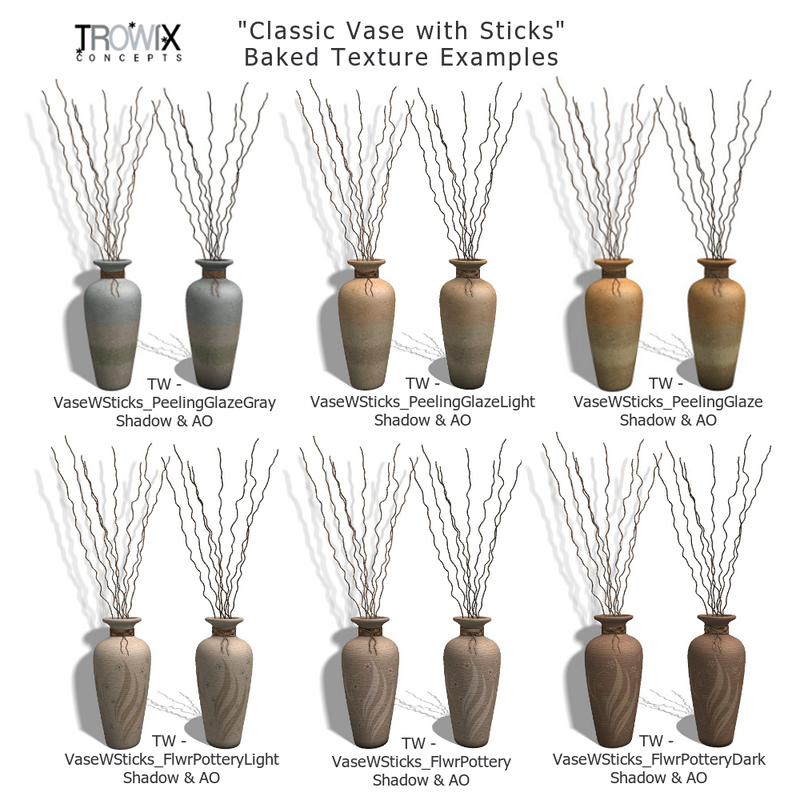 You can’t have too many pretty vases or too much time, so we’ve made more vase textures for our mesh vase. 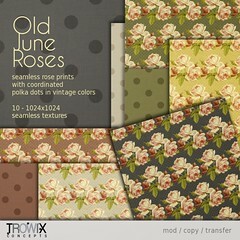 Imagine how these classic antique-style textures will look on vases for your home, office, garden & shop builds. Made for minimal seams and maximum impact in a variety of styles. 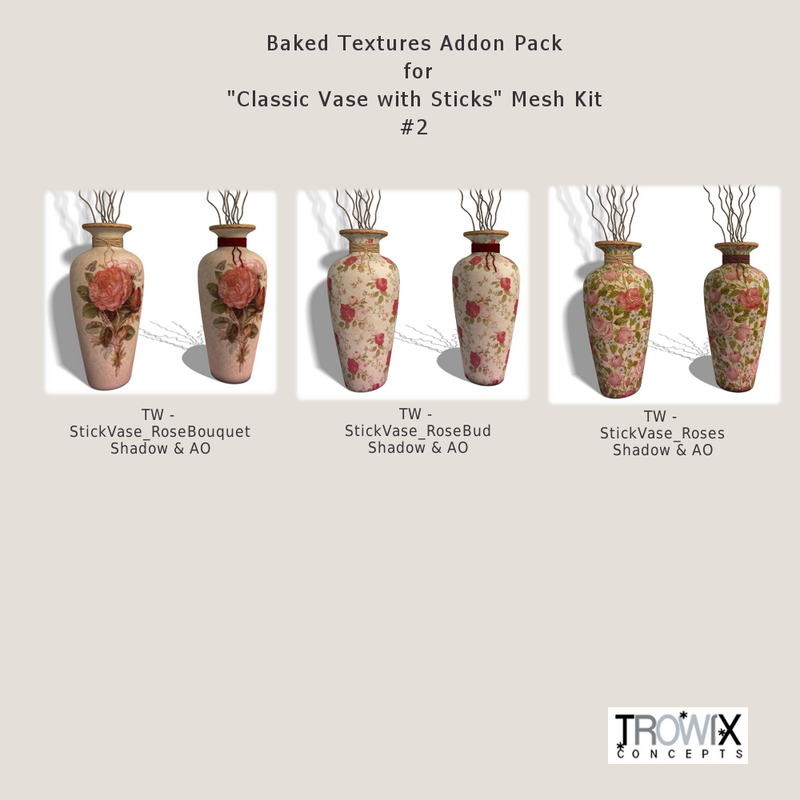 Classic and antique style vases inspired these textures. 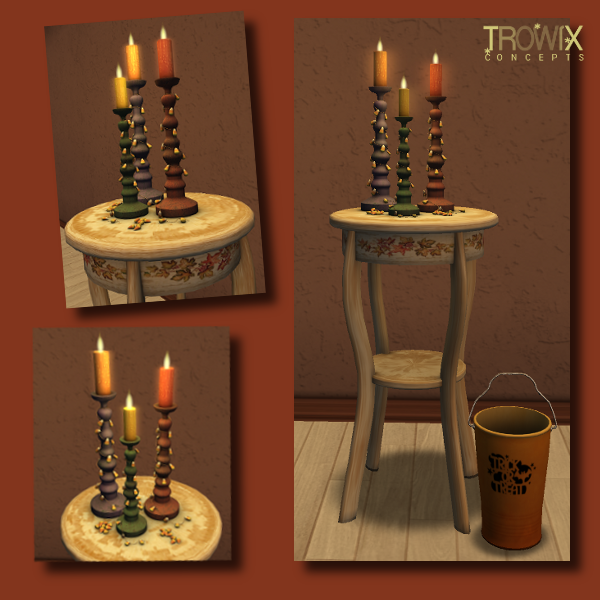 Building Tip: The twine-string texture was tinted for many of these photos. 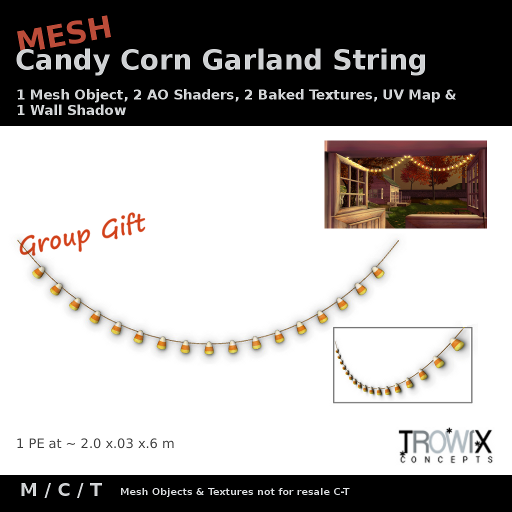 Twine-string texture is included in the mesh package, itself. Mix & match textures for a stunning display. Some more examples. Pretty rosey vases. 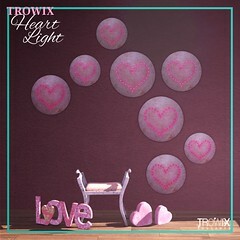 Brighten up your corner of the grid! 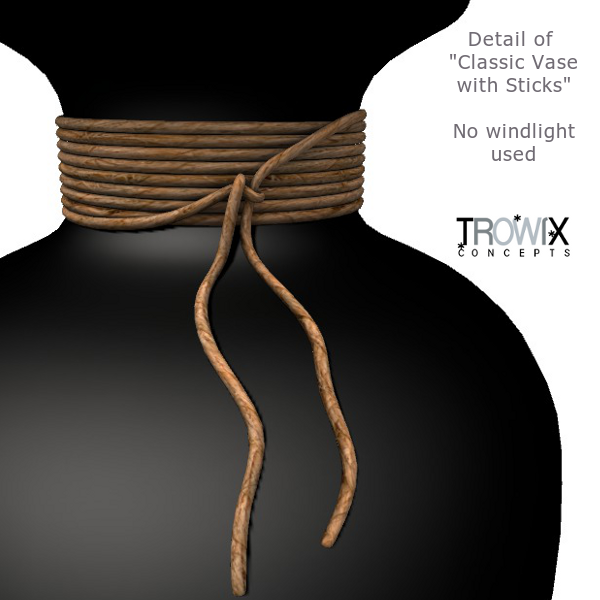 Classic Vase with Sticks – Artsy! What the world has been screaming for…another vase. Build a better vase and the world will beat a path to your door? 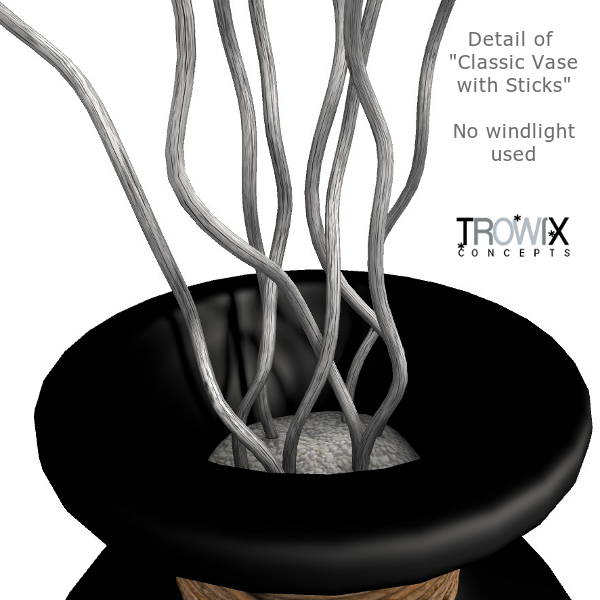 Going on the better vase assumption, Trowix presents our newest mesh creation. You need this vase! For everything. 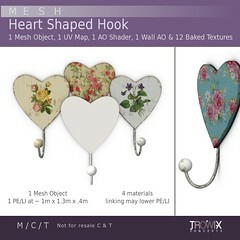 Detailed mesh vase with all the things you need to create your own lovely accent pieces. 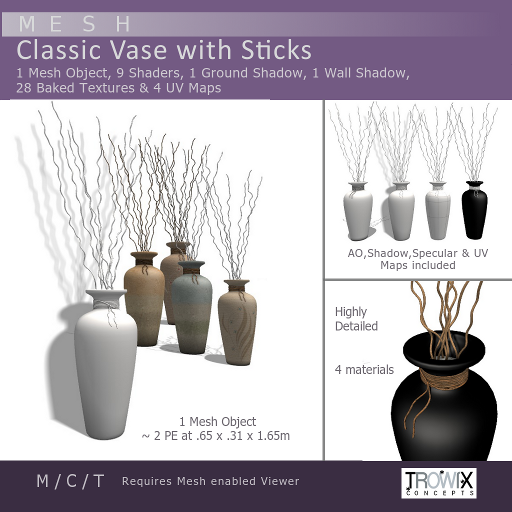 A carefully crafted Original mesh vase wrapped with cord and filled with artful sticks is a classic for any build. Smooth texturing in-world with 4 materials / texture areas. 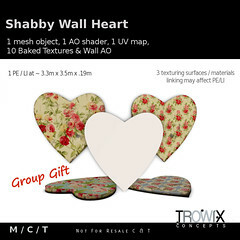 Or use your favorite graphics program with any or all of our shaders and UV guides to create just the effect you want. Detail of the twine wrapping in natural light with no editing. These textures are included, also. Here you can see all the materials or texture faces. If you don’t have the time to make your own shaded textures, we have included some for you to start out with right away. Stick, vase, gravel, twine textures. Also, 2 shadows. One for the ground & one for a wall. 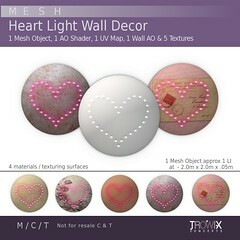 The wall shadow is mesh, also. 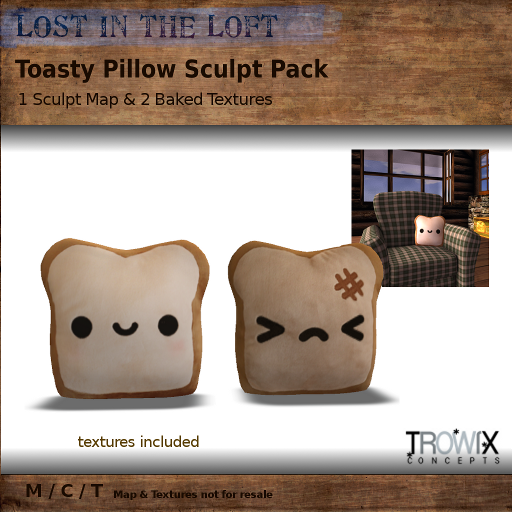 This shows the included textures. Ambient occlusion textures for general lighting purposes & shadow baked textures for specific lighting. All have spectral overlaid. or get a direct delivery from SL Marketplace.